Market anomaly May 10th, 2017. After receiving a few emails and phone calls yesterday after the RZX market precipitation, I am choosing this blog forum to comment. "Today RZX had 26 trades at a VWAP (Volume Weighted Average Price) as calculated by Bloomberg as $0.1795 per share multiplied by the 412,650 shares traded gives a total traded value of $74,070.67. The last trade at 14 cents was at 15:52 ( 8 minutes to 4 ) and the closing BID was 16 cents. It appears to have been a small dollar amount of shares sold in a “thin” stock." There are no material changes that would give reason for the precipitous drop in the stock price yesterday. I do admit that there is much speculation relative to the various projects in Mexico, and the water division status in Canada. Fundamentally, Robix is the same company is was last week. The projects in Mexico at various stages of development, are moving forward, albeit slower than we all (including myself) had anticipated. Negotiations with the Navy are ongoing and are being led by the Mexico team. I have a great level of confidence in the integrity of our team, and the Joint Venture partners working within the Mexico industrial marketplace. I am preparing a full corporate update to shareholders, upon my return from the Toronto trip early next week. The anticipated update being prepared will include a discussion of pertinent details of the Mexico projects and the water division in Canada. In closing, I want to thank the loyal shareholders for your patience as Robix develops from early stage to high-growth. Forward Looking Statements. This CEO Blog contains certain forward-looking information and statements within the meaning of applicable Canadian securities legislation. Certain statements contained in this blog may contain such words as “anticipate”, “could”, “Continue”, “should”, “seek”, “may”, “intend”, “likely”, “plan”, “estimate”, “believe”, “expect”, “will”, “objective”, “ongoing”, “project” and similar expressions are intended to identify forward-looking information or statements. In particular, this blog contains forward-looking statements regarding the Rights Offering, the amount of funds to be raised pursuant to the Rights Offering, and may include information perceived by the reader to be expectations regarding the business, operations and revenue of the Corporation in addition to general economic conditions. Although the writer believes that the expectations and assumptions on which such forward-looking information and statements are based are reasonable, undue reliance should not be placed on the forward-looking information and statements because the writer can give no assurances that they will prove to be correct. Since forward-looking information and statements address future events and conditions, by their very nature they involve inherent risks and uncertainties. Actual results could differ materially from those currently anticipated due to a number of factors and risks. These include, but are not limited to, competition, and uncertainties resulting from potential delays or changes in plans with respect to development projects or capital expenditures and changes in legislation, including but not limited to tax laws, royalties and environmental regulations, stock market volatility and inability to access sufficient capital from external and internal sources. Accordingly, readers should not place undue reliance on the forward-looking statements. Readers are cautioned that the foregoing list of factors is not exhaustive. The forward-looking information and statements contained in this blog are made as of the date hereof and the writer undertakes no obligation to update publicly or revise any forward-looking information or statements, whether as a result of new information, future events or otherwise, unless so required by applicable securities laws. It is a method to allow shareholders that have been loyal to the company for many years, an opportunity to keep their stockholdings non-diluted as a percentage of the outstanding. There are also many other reasons, which I will do my best to describe herein. **As a matter of record, this method is complicated to some, when compared to the typical Private Placement method used for decades in Canada. 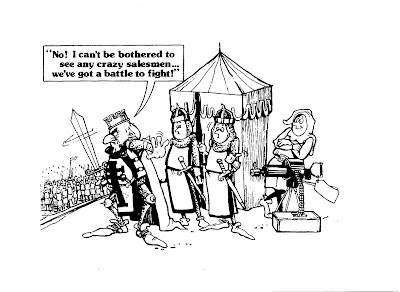 In other jurisdictions (like Britain or Australia) the Rights Offering is more commonplace. It is a liquid method of financing by equity, as compared to the 4-month hold and then the potential "bottle-neck" of supply-demand at the end of 4 months. It allows the traders a more liquid entry point to a company that they follow, while at the same time, assisting in the capital flow to the Issuer. **see the following table as a SAMPLE scenario. I also get asked: "When would you receive the funds from Rights Offering exercise"? The funds are available to the Company from the Transfer Agent (Computershare) a few days after the Rights expiry date. **see the following table as a SAMPLE scenario. There are certain possible scenarios that would be beneficial to the Company, but are by no means assured. One such scenario is this: A significant shareholder who wishes to exercise is not required to wait to expiry date to exercise, but may exercise at any time during the process, once the Rights are on Record. This scenario may be beneficial to the Company in a situation where the shareholders wishes to exercise a portion of his/her holdings, and hold remaining rights to exercise at or near the expiry date. **keeping in mind that there is a few days prior to expiry date where the other shareholders may be requesting "Step-up Privilege". I also get asked: "At what price will the Rights trade?" That totally depends on the trading price of the common shares during the Rights Offering. **see the following table as a SAMPLE scenario. Raising capital is usually easier. >My additional comment: EXIT STRATEGY. The following is a SAMPLE scenario. It serves for DISCUSSION PURPOSES ONLY. 2016 has been a milestone year in the growth and development of Robix. As a shareholder, you have seen the team grow and move the project forward. When we started our journey in 2013, the Clean Ocean Vessel (COV) was just a patent and design drawings. I am proud of what we achieved in 2016, and excited about the potential for 2017. In summary, here’s some of our key accomplishments this pass year. Robix completed a merger with Formation Fluid Management, which is now our clean water division. With the merger Robix can provide clients in Canada, Mexico, and around the World with a complete solution to their clean water needs. We built and delivered our first COV, C-160 to Mexico for testing by Pemex in November 2015. We successfully completed testing by the Petroleum Institute of Mexico. Robix received a USD $50 MM expandable contract for multiple P140 oil recover platforms to be deployed at PEMEX facilities. The Master agreement has a present value of a minimum of USD$50 MM and incorporates the leasing of multiple P140 units initially, with transaction instruments to increase the order size to a maximum of $250 MM. Delivery to commence Q3 2017. The success we achieved in 2016 for contracts in Mexico has brought us to the attention of other organizations in Mexico. One of which is looking to engage in discussions with Robix deployment of multiple C series. Another potential contract is commercializing our demonstration C160 into a long-term lease. In addition, we have advanced discussions for the C series in major international oil production and processing regions and our water division is in advanced stages of numerous tenders and bids. Although there is no guarantee of any of these additional contracts being realized, the Company is excited about the potential of future growth and executing on the major contracts we already have in place. Wishing you a prosperous 2017. First a couple of mainstreet news coverage articles came out yesterday. So, I begin by saying I have noticed that the main news outlets in Canada (CTV, CBC, and Global) are paying attention. They are highlighting some good things about this disaster. Not one of us truly knows what the winter will do to this River as far as the oil spill affects go.....we just know that winter will freeze things up like they always do. Most of our corporate activity on-site in N.Saskatchewan River has been to continue to take water samples for testing and - after the river rise, to protect the containment assets in place, either by removing them and reinstalling them at other locations, or securing them while the river does its thing. I'll leave the water testing results until a later date. It will be interesting to see the whole saga play out. How much of your tax dollars would you like to go to new innovations in the collective? "What is that scum floating in the river that looks like hydrocarbon? 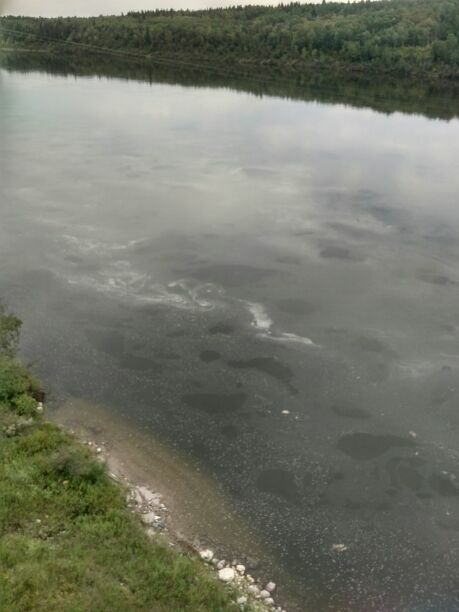 I've compared in real time, the looks of the South Saskatchewan River during the post oil spill (August 2016) and I see no evidence like this on the South SK River. So, it is hard to believe anyone who says this is not the result of hydrocarbons in the water. Science must weigh in again. And, there is a group doing a great job of keeping everyone "honest". The independent group wants facts and figures. 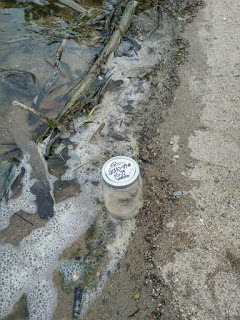 In the report, there are a number of recommendations highlighted including demanding "full access to the raw data from Husky's sampling program and a detailed cleanup strategy." THAT RIVER IS COLLECTING A SIGNIFICANT AMOUNT OF DRIFT LOGS. TOO DANGEROUS FOR THE BOOM INSTALLERS. OVER N OUT UNTIL NEXT BLOG. CBC film crew on-site JSFN. I pick up the story with events around mid-day on Tuesday, August 30th. 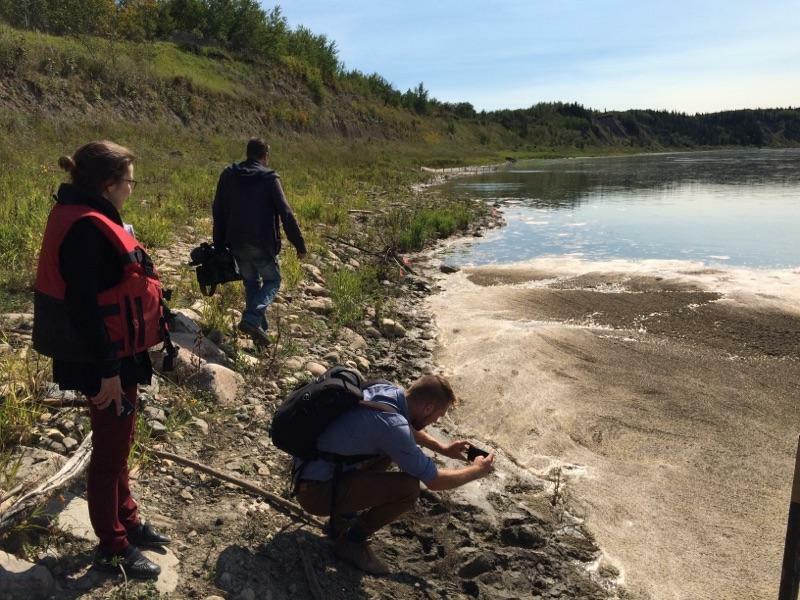 A film crew came to James Smith reserve to go to the shoreline of the N. Saskatchewan River and see for themselves. Now, keep in mind, that all of this collection of scummy dross in the river was happening everyday, over the past week or more. The river was supposed to rise before the weekend, so we were hurriedly getting as much collected as possible. Astonishingly, overnight Tuesday, the river had risen some "3 meters" by some individual's count. Hard to believe that rain in Edmonton region could affect the river that much. I now have been reminded that there are hydro dams along the North Saskatchewan River in Alberta. I live along the Columbia River in BC, and I know how much a river can rise based on Hydro release at times. 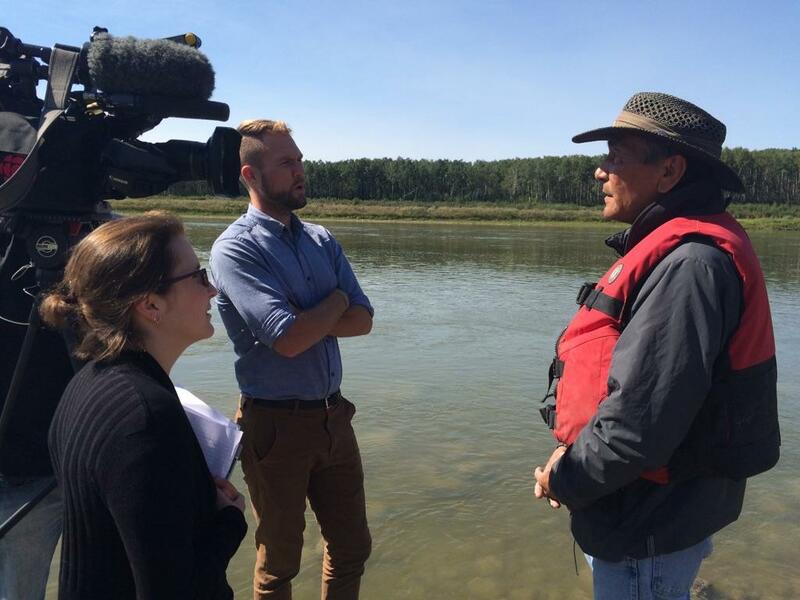 With a hard search I found this quote: "The mean annual discharge from the [North Saskatchewan River] basin in Alberta into Saskatchewan is over seven billion m3." Btw, there is a major business story developing in Mexico as I write. 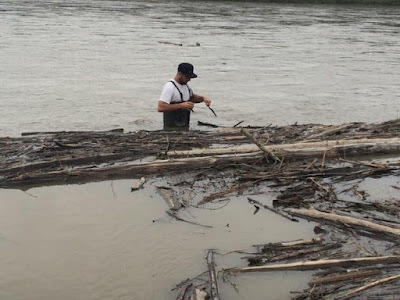 From the time I take a reprieve from the North Saskatchewan River - I don't know when that will be - I will pick up the story developing in Mexico. Suffice to say, it is developing larger than we thought originally. P.S. I've buried this purposely. And the blog pendulum swings to the capital market. Every stakeholder counts! Keep in mind, there is much more to Husky than the pipeline that crosses the N.Sask River near Maidstone, SK. So, given this information is it strange that City-of-Prince-Albert-gets-5-million-from-husky-for-oil-spill-cleanup ? I won't easily forget the conversation in the parking lot at FSIN (see previous blog of August 2nd - XBoom & PAGC) where the Husky rep viewed the XBoom out of the back of the CFFC trailer. An entrepreneur always takes his/her steps forward or backward, based on the amount of risk capital placed in the marketing of their products. I can tell you, at this point I am reminded of the difficulty in getting big companies to take a hard look at how they are spending their capital...innovation or no-innovation. I can think of a few words for my thoughts, but.....a picture is worth a thousand words.